Shall we upload albums as bittorrents? 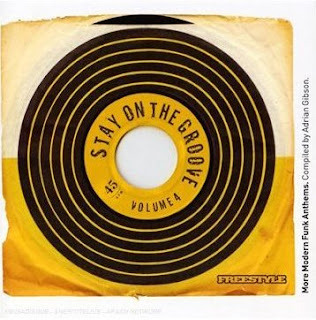 Well, here we are now with Volume 4 of the hugely successful Stay on the Groove series. The idea of this was to showcase some of the excellent Funk 45’s that were being released around the world but annoyingly were not turning up anywhere on CD for the non-DJ / Vinly Junkie listener to check out. Kicking off Volume 4 we have one of the best Funk 45’s to be released in the past decade. The Tornadoes featuring Tyra Hammond's “You got me Thinkin’ “ is Sister Funk of the highest order . Next up we have “Hope” from Glen Anthony Henry. Originally from Los Angeles, Glen has collaborated with Dr. Dre, Erykah Badu and many more. “Hope” is taken from Glen’s debut album “Relax and Love”. The Sound Stylistics started out life as a studio project in 2002 for the Library label Bruton. “The Players Theme” was released as a limited edition of 500 copies last year which all sold out in less than 2 hours. The Quantic Soul Orchestra hardly need any introduction . “Panama City” is from his excellent “Tropidelico” album. “Got to lose your Way” by the Haggis Horns could easily pass itself off as a classic Tower of Power track, while Amsterdam based The Soul Snatchers “I Can’t stand it” was recently hailed by Keb Darge as the best new funk recording of the past 12 months and features the vocals of 70’s Dutch Funk legend Jimi BellMartin. DJ Bobesch brings his Deep Funk project to life. All of their records are not available in any record shop and have sold out through word of mouth on vinyl only. We present the killer “Billy’s Popcorn” on CD for the first time here. Cookin’ on 3 Burners tribute to Keb Darge’s “Bucket” ( as essential part of his rider when he toured Australia apparently ) is a monster groove which is amazing considering there is only three people making this big loud sound. From Japan we have Mr. Comicstore with his uptempo Funk killer ( on CD for the first time again here! ) featuring the vocals of Nicole Willis. “Wait a minute” was Lack of Afro's first single which used a looped break from Simon Allen ( the drummer with the New Mastersounds ). Which brings us to the next track, a lovely Kenny Dope remix of the New Mastersounds “Nervous”, Speedometer’s “Take a chance” is another killer Leigh Gracie original. 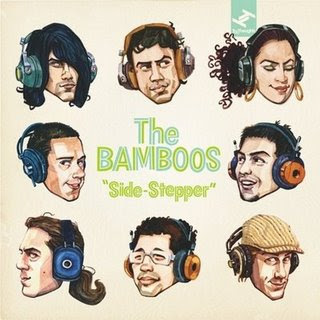 It is taken from their latest album “Four flights up” which is one of the best Funk albums of the past few years. Charles Bradley and the Dynamites “Killin it’ is featured on a limited edition ( 500 only pressed ) 45 to promote this compilation. On the other side of the 45 we “Turn it up” by Open Souls who are basically the same group as the Tornadoes who started the album off and once again feature the amazing vocals of Tyra Hammond. Deep in the heart of Panola County, Mississippi lies Como, a small rural town where children and grown folks alike have been living and breathing gospel for as long as they can remember. In the summer of 2006, Daptone Records placed a small ad in local papers and on the radio inviting singers to come down to Mt. Mariah Church to record their songs. 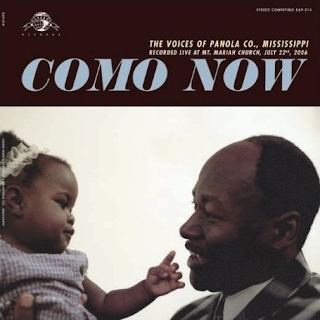 The result is COMO NOW, a stirring collection of traditional and original a cappella gospel from the voices of Panola County’s own families. It may seem like a leap for Daptone Records to be releasing an album of a cappella gospel music. Daptone has earned a reputation for creating and proliferating the purest of today’s soul and funk music. Why gospel? And why without any instrumentation? If you put aside the analytical categories of the music critic for a moment, and just listen to the record, the answer becomes simple and clear: this is soulful music. Named one of Austin, Texas' 'Best Live Acts' by the Austin Chronicle, Brownout perform the nastiest Latin funk music around today. This band of "party rocking legends" was resurrected from the same tequila soaked border town explosion that originated the highly acclaimed Latin powerhouse Grupo Fantasma. Fresh from the worldwide release of their first 7" single on the UK's prestigious Freestyle Records, the band has made waves internationally amongst DJ's, tastemakers and good music fans alike. 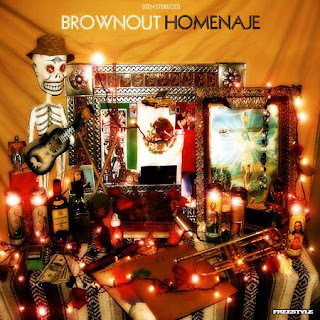 Brownout is an 8 piece ensemble complete with 2 guitars, bass, no nonsense Latin percussion and the "Best Horn Section" 2 years in a row at the Austin Music Awards. Throwback but not copycat retro, their music is timeless and honest, keeping the spirit of 70s afro-latin and funk music alive while honoring their South Texas roots. "Homenaje," Spanish for homage, is the debut album release from the Grupo Fantasma side-project (who recently supported none other than Prince on his recent UK tour) and gives more than a mere nod to late '70s Latin-funk acts like Joe Bataan and Santana. From the Fela Kuti style Afro-beat of "Con El Brownout" and "Chema's Contraband" to the smoldering neo-soul of "You Already Are" and the incendiary cover of Manu Dibango’s “African Battle”, the nearly all-instrumental album avoids stagnation by switching gears rapidly between tracks. "Homenaje" vacillates between the languid groove of songs such as "They Should Know," which sounds like a forgotten track from the Beastie Boys' "Check Your Head" and powerful crowd-movers like the CD's title track. Built upon a familiar piano montuno and the deft percussion of drummer Johnny Lopez and conga player Sweet Lou, "Homenaje" echoes the funkiest material of the output of the Fania label in the 70s and the gorgeous "You Already Are" channels Carlos Santana into a brooding funk masterpeice. Melding these influences into an original diasporic sound is the album's triumph. 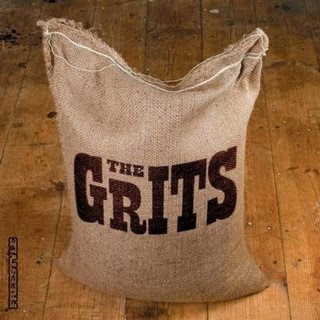 Hailing from Brighton, The Grits emerge with their own take on raw, rare and grimy instrumental funk. Their journey began in 2005 with guitarist Stuart “Countryboy” Carter and Nick “The Organiser” Harris. Bassist James and drummer Johnny were recruited soon after, marking the birth of one seriously slick funk four piece. Their self titled debut includes a superb cover of The Soul Drifters “Funky Soul Brother”, as well as “Boom Boom”, the sold out 45 released on Freestyle and its B side ‘Jan Jan’ - an instant raw funk classic championed by Radio 2’s Mark Lamarr and Radio 6 funkster Craig Charles. With their roots firmly steeped in classic funk, The Grits add their own slant with trashy guitars, crunchy drums and deep bass. Add to this super-modulated Moog, a bag of percussion and their trademark guttural vocal grunts and you have a live show that never fails to work their live audiences into a funk frenzy. On record, The Grits manage to keep the rawness alive, whilst upping the stakes sonically with modular analogue synths, piano, harmonica and even a huge metal cabinet played with a stick! The Menahan Street Band is a collaboration of musicians from Sharon Jones & the Dap-Kings (Dave Guy, Homer Steinweiss, Fernando Velez, Bosco Mann), El Michels Affair (Leon Michels, Toby Pazner), Antibalas (Nick Movshon, Aaron Johnson) and The Budos Band (Mike Deller, Daniel Fodder), brought together by musician/producer Thomas Brenneck (Sharon Jones & the Dap-Kings, Budos Band, Amy Winehouse) to record hits in the bedroom of his Menahan St. apartment in Bushwick, Brooklyn. With influences reaching beyond the funk/soul/afrobeat architecture of their other projects into the more ethereal realms of Curtis Mayfield and Mulatu Astatke, the Menahan Street Band creates a unique new instrumental soul sound that is as raw as it is lush. 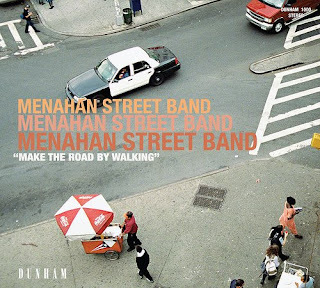 Their debut album, Make the Road by Walking will be released on Dunham Records, Brenneck’s new imprint of Daptone Records, a joint venture devoted to bringing the Menahan Street sound from Brenneck’s bedroom out into the world. The album is marked by eerily quirky arrangements, featuring vibes, horns, piano, organ, percussion and even a strange bling sound that Brenneck creates by tuning and plucking the strings of his guitar on the wrong side of the bridge. However, it is not the textures themselves that make the new sound of Menahan Street so exciting, but rather the way the sounds are incorporated into the heavy rhythms and bold melodies of the compositions. Mr Confuse is a producer & DJ from Hannover/Germany. He is a record collector since 1993 and started DJing in 1999. After years of DJing and party promoting he started also producing music in 2004. In early 2005 he founded a producer team called Breakout. He came up with the idea of reworking the 80s classic “Planet Rock” by Afrika Bambaataa transforming it into a heavy funk tune. The tune was released on 7” and shortly after on 12” including also a jazzy version of “Planet Rock” regarding to the massive international attention in 2006/2007. In early 2007 the Breakout project split. In summer 2007 Breakout’s final 7” The Funky Goofball/Lyve Wire was released. 2007 remained a busy year. Mr. Confuse released three MixCDs (Catch The Beat, Confunktion and Brazilian Cuts) with different musical focus, followed by several compilation releases of his productions. In September 2008 Mr. 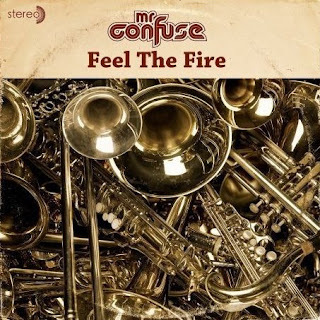 Confuse full length solo album "Feel The Fire" was released on DLP, CD and digital. The album includes 14 songs. Two of the album songs are Cover versions of Debbie Deb’s Freestyle Classics “Lookout Weekend” and “When I Hear Music” in a heavy seventies Funk style. Lookout Weekend was also released as 12” Vinyl including Vocal, Instrumental, Accapella, Lack of Afro Remix and a Remix of the album song Groovin’ On The Spot by Mash & Munkee. You got to check this incredible sound, i love this sound so much! Precise details as to the origins of these 16 instrumental tracks are thin on the ground. None of them are actually credited to MFSB (although the CD as a whole is), and while a few are noted as having been recorded in 1968, 1969, or 1973, over half the cuts are undated. The liner notes -- which actually only consist of five extended quotes from figures involved with MFSB -- aren't much help, although they do scatter hints that these cuts represent MFSB recording under pseudonyms. So an educated guess would presume that these tracks -- credited to no less than twelve separate artists, including such colorful names as Electric Indian (whose "Keem-O-Sabe," a Top Twenty hit in 1969, is the only well known item here), French Connection, Race Street Chinatown Band, and Brothers of Hope, and such mundane handles as Sam Reed Band -- are in fact MFSB recording under different names in the late 1960s and early 1970s. Some celebrated figures are involved in the production and songwriting, including Kenny Gamble, Leon Huff, and Len Barry, but the specifics of their involvement aren't fully spelled out. But while the lack of background information is frustrating, the music itself is pretty cool. This is indeed the sound of Philadelphia soul turning into funk, but rawer and closer to the bone than most of the famous recordings on which MFSB were the backing players (and certainly rawer than MFSB's own hit recordings). All of the instrumental elements of the Philly soul sound are here: tight grooves, funky guitars, neat riffs, and overlays of jazzy vibraphones. It sounds earthier than much famous Philly soul of the era, though, in part because most of the tracks aren't decorated with horns or soothing strings, putting the most cutting ingredients in relief. That's particularly true of some of the guitar work, which sometimes goes into nifty wah-wah, and at others (especially on Hidden Cost's "Bo Did It") even verges on what sounds like Cream/Yardbirds-influenced hard rock lines. It's true that much of this does sound like promising backing tracks waiting for vocal overdubs, and that none of them (except "Keem-O-Sabe") particularly sound like they're instrumental-only hits waiting to happen. Yet this incompleteness is also part of what makes this obscure release interesting, allowing us to dig the root of the Philly sound without the sweeteners in a pretty unadulterated state. Much of it's indeed funky as a, well, mutha, and no doubt it will eventually be plundered by twenty-first century samplers looking for something that few competitors are even aware exist. How many times have you been at a swinging soul party and overheard someone say, "I'd really love to taste some of those soulful and delicious Daptone cuts that are only available on 45's, but I don't have a record player"? I know what you're thinking: if only I had a dime for every time! Well now a dime (or two) is all it will cost your phonographically impaired friends to download one of these exclusive cuts to play on their own MP5-BOX. 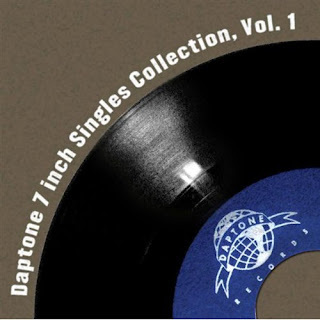 You heard right, the considerate folks at Daptone have compiled the entirety of their infamous 45' catalog onto a series of download only albums. Finally, you too can own tracks that have previously only been available to DJ's and vinyl junkies. You’ve been licking ‘round the bottom of the Soul bowl lately, scrounging for every bit and morsel you can find. And now this! Our second volume of Daptone cuts that have never been digitized before. All the 45 only jams that your hipper friends with record players have been so smarmy about for so long. I’m sure you would have bought them on vinyl if your apartment wasn’t so small, right? Or maybe you already did, but want these handy digital ones so you can listen to them on your telephone when you’re not near enough to your dear old turntable. 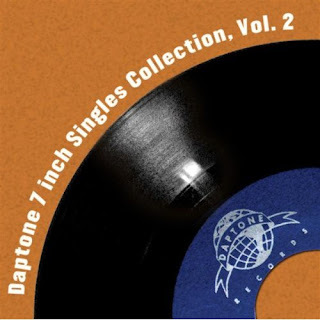 Either way, I’m sure you’ll enjoy Volume two of Daptone’s 7” Singles Collection. And don’t forget, singles are for couples too! 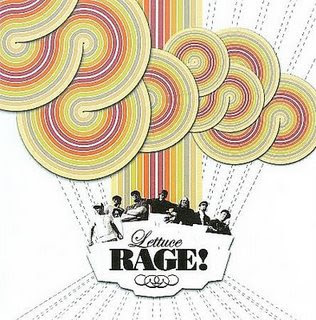 The seven-person all-star collective known as Lettuce has been around since 1992, with its members branching off into successful standalone projects (Soulive, Rustic Overtones, et al), but never straying far from the project that started it all. "Rage", the band's third album, sees the collective reaching back to pay homage to the funk gods (EWF, James Brown, Tower of Power, the Meters, P-Funk, etc), while retaining the band's meticulous hip-hop tinged phrasing, melody and progressions. The compositions all follow a similar formula: riffs and breakbeats setting up the solos, bridges and/or hooks, and though there are times when the songs traverse the borders of funk-by-numbers monotony, the band's chemistry shines through time and again as a saving grace. One can tell the boys are having fun and this is proved true every time a glimmer of their monstrous theory knowledge and improv talent surfaces. But, this project is not meant to clone those aspects so strongly established in Lettuce's first two albums. "Rage" was made to groove in the pocket, and it does. Fiercely. Check their sound on MySpace! This blog is just a collection of albums found on other soul/funk related blogs and generally on the net .In case there is no source reference underneath an album ,the album has been uploaded by a blog team's member and is either freely available on a p2p network or has been ripped . It should not be seen as a substitute for the original, legal, RIAA approved, record company enriching product.If you are an artist who don't agree with this kind of promotion and want your music of this blog ,just inform us . Please let us know for any broken links and for requests.